1. These wires are unused and should be taped back out of the way. 2. The brown/yellow must be connected to the brown/black where the old regulator was on the inner wing, and the resultant connection carefully insulated to prevent it coming into contact with anything else. 3. If the replacement alternator has a B+ terminal, this should be connected to the + output terminal with a short loop of brown wire. 4. 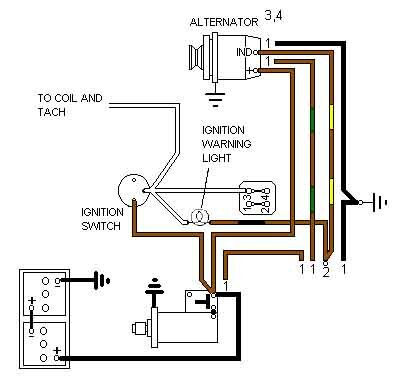 If the replacement alternator has a large '-' terminal by the large '+' terminal then the thick black can be connected to it, but make absolutely certain that the + and - terminals cannot come together.